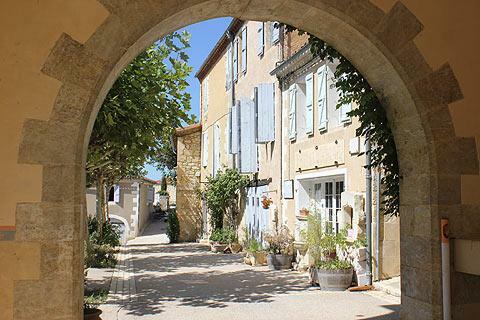 Lavardens is one of the classified 'most beautiful villages of France', situated in the Gers (Gascony) department of south-west France, to the north of Auch. A very small village located on a hill, Lavardens is very much dominated by its castle. Historically it was a fortified village although there is now little trace of these ramparts except for several towers that once formed part of the walls. 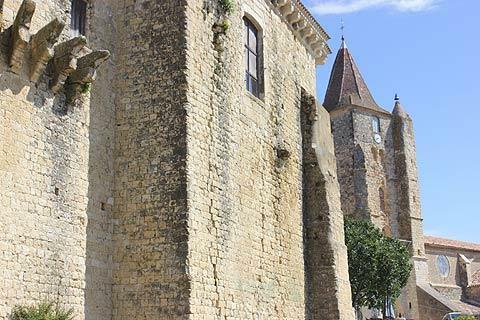 First take the time to stroll along the main street through the village centre and to explore the alleys either side, to get a sense of this medieval village and to enjoy the views across the surrounding Gascony countryside. The church is also interesting. Dating from the 15th century it has an unusual spiral staircase running up one corner of the tower. It has been suggested that the clocktower formed part of the original castle, although apparently this is unverified. France This Way comment: it has to be said that really the castle and the large church opposite are the main sights to see and although Lavardens is classified as one of France's most beautiful villages in our opinion it is not one of the best of these. 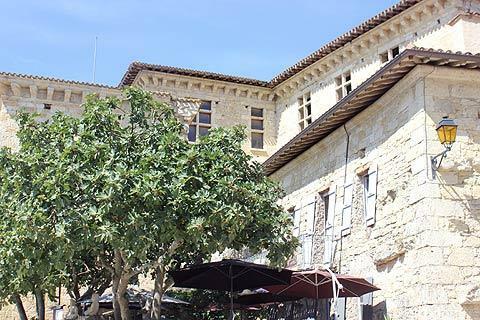 It is Lavardens castle that dominates the village and your visit. The current castle dates from the early 17th century, although an earlier castle stood in the same location as early as the 12th century. By the 19th century the castle had fallen to abandon and was starting to collapse but over the last 40 years it has been carefully restored. Quite an unusual style, Lavardens castle has little in the way of the traditional defensive elements that presumably were an important part of the earlier castle but decorative structures such as ornate windows, balconies and small square towers make it very attractive and interesting. Its sticking out beams also give it an interesting look - almost like it has gargoyles decorating it. A particular highlight can be seen in some of the interior floors, created in a pattern design using small bricks and stones. The castle is open to visitors all year except mid-January to mid-February. There is usually an exhibition running in the castle and the admission price depends on the exhibition. 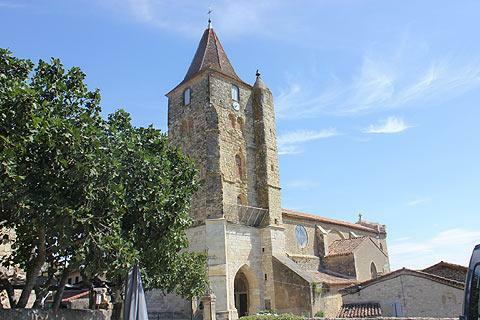 Note: to become a 'most beautiful village of France' a village must have a carefully preserved architectural heritage and at least two listed historic monuments: in Lavardens these are the castle itself, of course, and also the belltower of the church - but not the church itself! 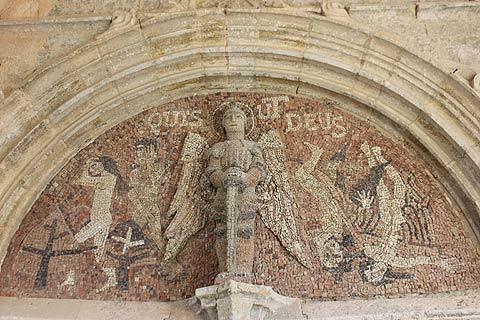 The quiet Gascony countryside around Lavardens contains several other small villages of interest - among our personal favourites are the fortified village of Larressingle and Fources, about 30 kilometres north-west of Lavardens.